In March, Ashland Art Works on Oak Street is pleased to feature the works of young artists from Ashland High School. 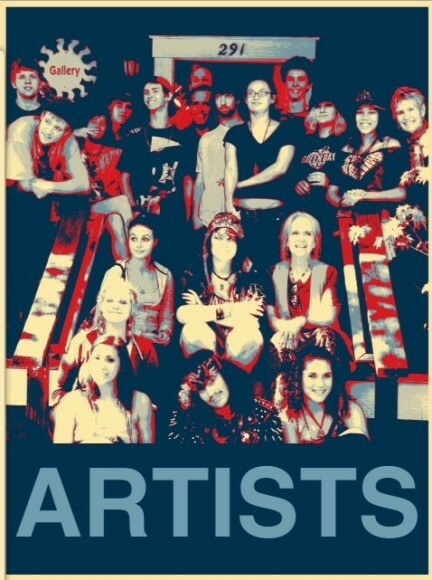 Stop in on First Friday, March 7, to enjoy their fresh talent and vision. As always, there will be new work from our resident artists: Handcrafted Jewelry, Paintings, Sculptures, Ceramic Art, Raku, Wire Sculptures, Pottery, and Mugs… Woodwork, Masks, Weaving, Hand-dyed Silks, Fused Glass, Crazy Birds, Cutting Boards, and very affordable, unique Gifts & Cards.